It’s been far too long, I know, but the other place has been taking up most of my time. Here’s an early winter update of things truffle. Prospects at Limestone Hills look reasonable. Good rain in February after a hot summer should have got the fungus moving, and we’ve finally completed an irrigation upgrade which allows us much better control over the water we apply to the trees. There are good reports from other Canterbury growers, and Peg has been showing interest in one or two places when we’ve been out on training runs – including the hazel where we got our first harvest. Fingers are firmly crossed, wood is being touched, etc & etc. Meanwhile, an Australian scientist studying long-nosed bandicoots and potoroos has discovered that using truffle oil as a lure instead of the more traditional peanut butter and rolled oats is a much more effective means of studying the animals. So much so, that population estimates will have to be increased. Finally, an acceptable use for the foul muck! French growers are worried that climate change will have an impact on their crop, after a sequence of hot dry summers has depressed production. Given the outlook for Europe, and the current pace of change in the Northern hemisphere, I think they are right to be worried, and will need to look to increasing the amount of water they use. Good news from North America: trees produced by Oregon truffle nurseryman Charles Lefevre have produced their first truffles (pers comm), and in British Columbia, the Vancouver Sun reports that a truffiere on Vancouver Island has produced Canada’s first black truffles – on seven year-old trees. Gareth is right, with the harvest starting in Australia, particluarly in WA which starts first and then the area to the west of Sydney, around Orange, then the southern tablelands of NSW, Victoria and Tasmania roughly in that order. Australia should produce close to two tonne this year and is still heading for more than 5 tonne by 2013. I was lucky enough to lift a surface truffle as big as my fist on the weekend and with great aroma. 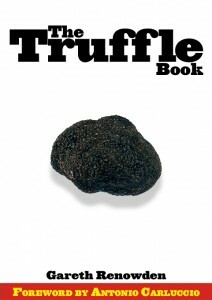 Looks like a good season in the Canberra area and July will be truffle month in the Canberra Restaurants. hi um i just wanted to know when you are open? is there any farms open where we can go and pick some truffle or try some truffle? please get back to me as soon as possible as i am wishing to go tomorrow or thursday! Sorry, Caitlyn. Contact details are on the “about” page.